Trying to eat seasonally but still stuck on the same old broccoli and brussels sprouts? In spring?? C’mon! Tis the season to widen out from those old faithfuls and embrace springs new arrivals. Regional weather differences make for varied local produce options so keep your eyes open where you normally buy but the following includes items that most everyone can enjoy. Bon appetite! Look for firm, thin stems with dark green or purple tinged closed tips. The cut ends should not be too woody, although a little woodiness at the base prevents the stalk from drying out. Asparagus tends to dry out more quickly than other produce but if you wrap the ends in a damp paper or cloth towel you can help keep them hydrated. Even so, don’t let them sit for more than a couple days or they will start getting shrively. Asparagus not only comes in green but also purple or white; these varieties tend to be more expensive and higher in sugar content. The ends are not tender so should be removed. To figure the best place to cut, bend one stalk until it breaks. Then line up that tip with the tips of the rest of the uncut stalks and cut the whole bunch where the first stalk naturally broke. This should remove all the woody bits. 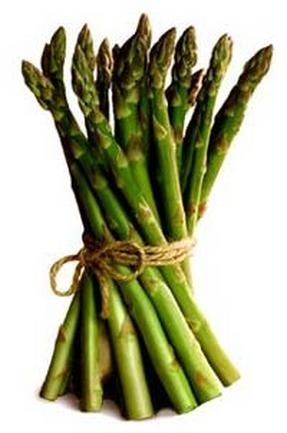 Asparagus with thick stems may be peeled because the stems are usually too stringy for pleasant eating but I have found those thicker stalks are perfect, without peeling, when grilled. Some suggest it is best to cook asparagus whole. Spring Peas should unblemished, firm and almost translucently green with tiny seeds. You know they’re good by their sweet taste but remember sweet is relative; they’re not M & M’s after all. The smallest pods are the sweetest and most tender but if you want to bring out more sweetness, steam them for a minute or so then quickly cool them down with cold water. 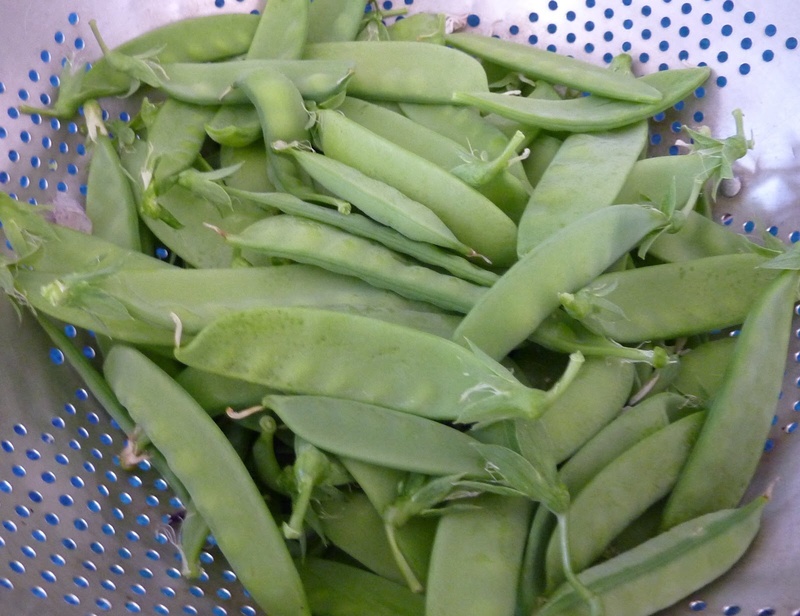 Try to eat them soon because the delicious natural sugars in the pod begin to turn to starch as soon as they’re picked. If they must wait a few days don’t pre-wash or cook since moisture will make them spoil more quickly. Instead wrap them loosely and put them in the vegetable drawer…just don’t forget them there! 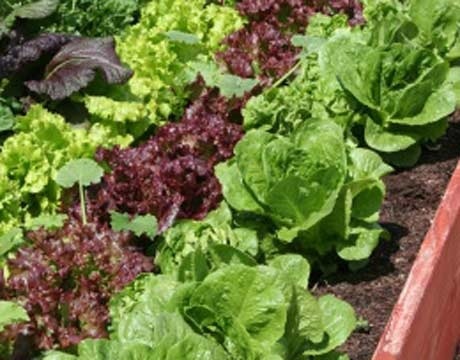 Greens, meaning the vast array of leafy vege’s like spinach and lettuces, are easily grown at home. They have a short lifespan though so I try to have a second or third generation in the wings once the first generation is ready to harvest. The more delicate the greens, the more perishable, so its best to buy, or especially harvest, them the same day you plan to use them, or at most, the day before. Avoid any leaves you see that are wilted or discolored. Prewashing greens will generally make greens spoil sooner so wait until you are ready to eat the leaves before immersing or thoroughly rinsing. One exception I have found to that rule is when preparing Romaine type lettuce. It’s a more hardy green and if I dry it well with a salad spinner it stays great for about a week. Speaking of preparation, most greens can be cut or torn whole. However some leaves, like Swiss Chard and Kale, have thick, stringy stems that are best removed. This is a great rundown of the plethora of greens that might be available in your area. 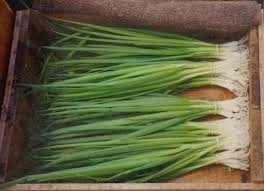 Green Onions and Scallions are from the same family and have a more mild flavor compared to the unrelated Chives. In fact, Chives are considered an herb because of its smaller size and stronger flavor more suitable as a seasoning. I grow Chives at home; they grow easily and often come back the next year on their own; plus, their purple flowers are edible. Use chives to add a oniony/garlicky flavor to more delicate dishes like deviled eggs. When buying, as with any plant, look for healthy green leaves without wilting or brown spots. Try out these Scallion/Green Onion recipes. 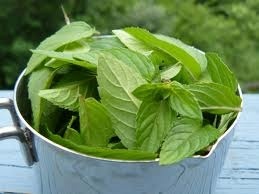 The real joy of Mint is its fragrance so don’t buy Mint that has lost its smell or is wilted or discolored. Even better, grow your own! All Mints grow easily and so prolifically they should be planted in a separate container to prevent them taking over a pot of herbs or garden. If you must purchase, wrap the leaves in a damp towel or put them in a glass with water, like a bouquet, loosely covered with a plastic baggy, and keep them in the fridge. Wait to wash Mint just before using. If using in a heated dish, add them to the pot just before serving or it’s flavor will be cooked away. If the Mint is to be chopped, let the leaves dry completely before slicing or they will stick to the knife; cutting with scissors also works well. If using fresh herbs in recipe calling for dried the general rule of thumb is a 3:1 ratio—use 3 times more fresh than dried. Try out these Mint recipes. What a great post! I learned something new today! Thank you for sharing!